An exhibition dedicated to the work of Polish avant-garde artist, theatre director, and set designer Tadeusz Kantor will open at the Royal Scottish Academy of Art and Architecture in Edinburgh this Saturday 25 July. Part of the 2015 Year of Kantor, which commemorates the centenary of his birth, the exhibition aims to link the renowned artist with the Edinburgh Fringe Festival, where he was invited by Scottish artist Richard Demarco in the 1970s and where he established his international reputation. As part of the exhibition, which goes on until 5 September, the RSA will premiere a hitherto unknown film of a 1972 performance of Kantor's play The Water Hen, the only film of an entire performance in existence today. Retrospectives of the artist’s work are also taking place in São Paulo, Japan and America throughout the year, while a virtual exhibition of Kantor's work is now available on the Google Cultural Institute. A collaboration between Kraków’s Cricoteka and the Polish Theatre Institute. 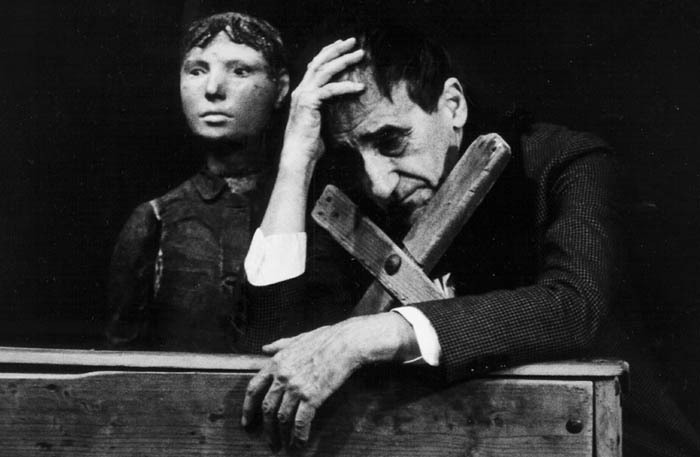 The Google Cultural Insitute exhibition offers a chronological selection of photos from Kantor’s performances, making his lesser known works accessible for the first time. These are accompanied by research notes, captions, and various archival documents, such as the original scores of his performances. Kantor (1915-1990) was born in Wielopole in Galicia (now part of southern Poland). Among many of his accomplishments, he co-organised the first exhibition of modern art in Kraków in 1948 and in 1965 staged the very first happening in Poland.